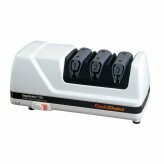 If you are researching the best knife sharpener to use at home, Chef's Choice have a large range of electric, hybrid and manual sharpeners to choose from. 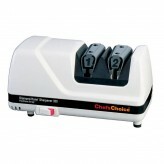 The Chefs Choice Model 220 is a hybrid sharpener that effectively combines electric and manual sharpening techniques to achieve razor sharp edges on high quality European knives. This is a two (2) stage sharpener: Stage 1 is motor driven for sharpening and Stage 2 is manual for honing, with both stages using 100% diamond abrasives.The two sharpening stages can be used to create and maintain a strong and long lasting arch-shaped edge on your knife blade. 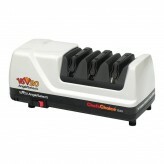 In our view, Chef'sChoice make the very best knife sharpeners in the world, we've worked with them for over 20 years! 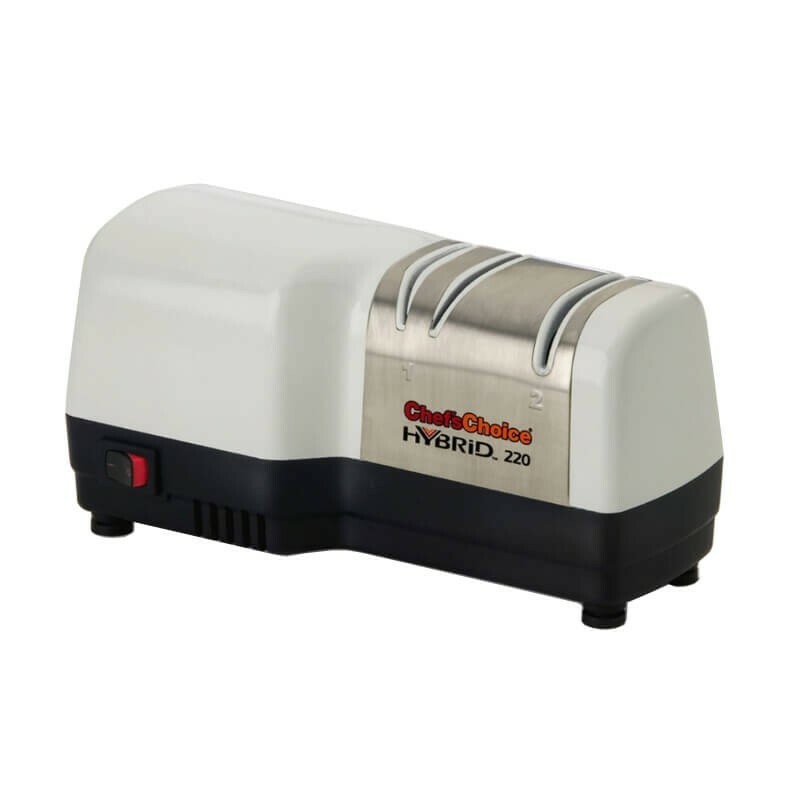 Easy knife sharpening with this hybrid sharpener that combines electric and manual sharpening stages to apply razor sharp edges to European/American and serrated knives.